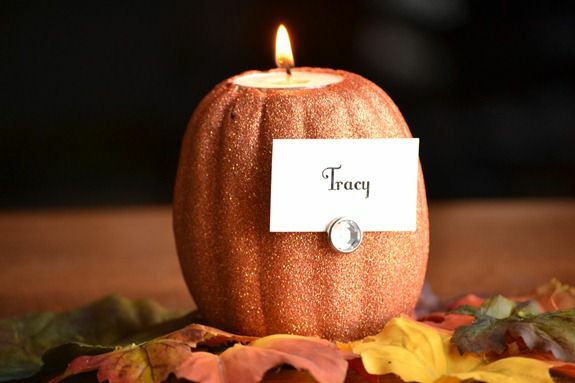 Infarrantly Creative's blog has stunning DIY Glittered Pumpkin Place Card Holders that would be ideal for any Halloween party! 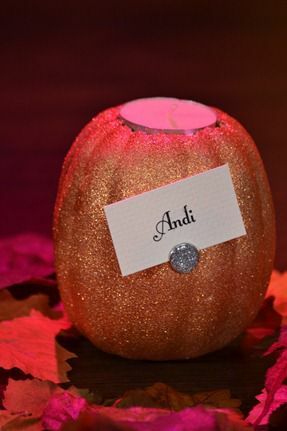 Or we think it'd be super simple to just leave off the place card holder portion and have a snazzy glittered pumpkin! I purchased two different size pumpkins from Dollar Tree. I used my hole saw bit (the size of the tea light candles) attached to my cordless drill to make a hole in the top of the mini pumpkins. Using a knife I scraped out the excess Styrofoam to create a nice even hole for the tea light to fit in. 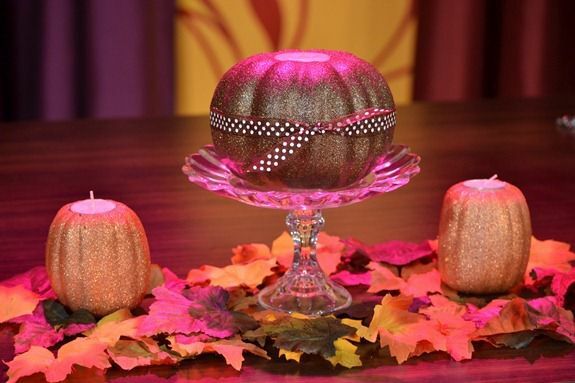 Then I spray primed the pumpkins and then used the Glitter Blast spray all over them. I let them dry and then I sprayed a clear coat over the top of them. You can seriously rub your hand all over it now and not a sparkle will come off. Next I printed out the guest’s name on cardstock and cut it to size. Then I stuck a scrapbook brad or thumbtack into the pumpkin to hold it in place. 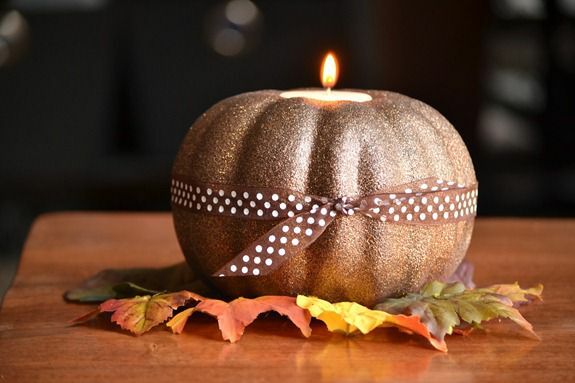 I also used the larger pumpkin with a votive (drilling with the same hole saw bit) thinking it would make a nice fall centerpiece. Look at the depth of color in this. 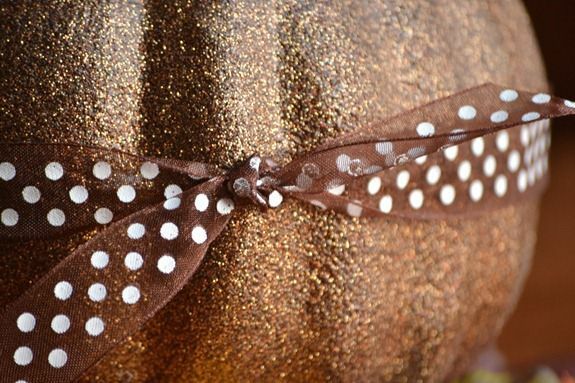 It has lots of golds, orange and brown flecks in it. So rich and beautiful!